RJ ON POL ROGER The foremost ambassador for Champagne, Christian Pol-Roger, has unfortunately retired from the scene. Nowadays the firm is run by Christian de Billy’s son Hubert. He was very doubtful for a long time as to whether or not he should dedicate his life to the family firm, but feels completely at peace now that the choice has finally been made. Winston Churchill’s favourite domain was established in 1849 by Pol Roger, who was succeeded by his sons, Maurice and Georges. 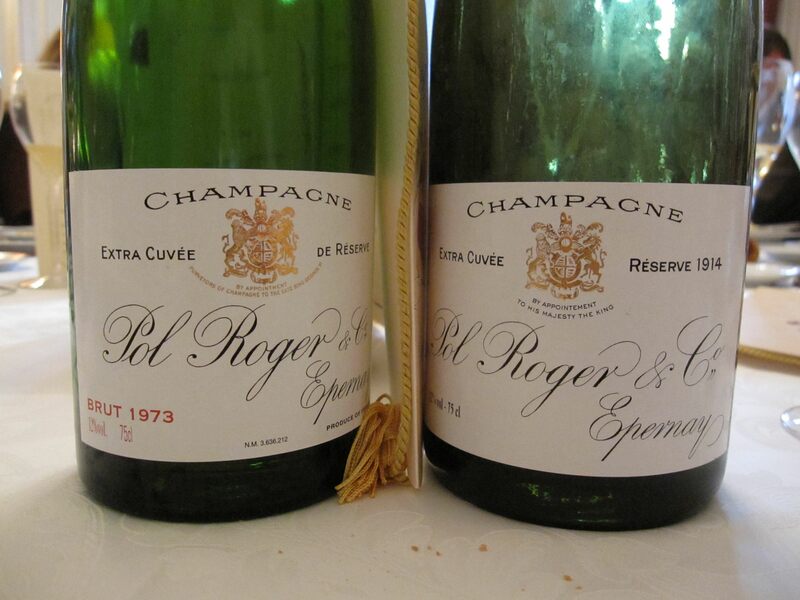 At the turn of the century the Roger family changed its name to Pol-Roger. Maurice was the mayor of Épernay during the week-long occupation of the town by the Germans in September 1914. Despite German threats to shoot him and burn down the town, he remained defiant and was later hailed almost as a saint in the town. He was voted honorary mayor for life. England has always been the main export market for Pol Roger, and when the wartime prime minister Sir Winston Churchill died the label of the Champagne was black-edged in memory. After a suitable period of mourning, the 1975 Cuvée Sir Winston Churchill was launched, in magnums only. The wine is made in a style they believe Sir Winston would have appreciated. His favorite vintages were 1928, 1934, and 1947. Nowadays the firm owns eighty-five hectares of vineyards, most of them close to Épernay: Mardeuil, Chouilly, Pierry, Moussy, Chavot, Cuis, Cramant, and Grauves. They meet 45 per cent of the firm’s needs, and the rest is taken from Pinot villages to give the wine backbone. Pol Roger’s vinification is quite normal, which leads me to the conclusion that the secret lies in the quality of the grapes and, above all, in the skill in assembling the cuvées. The wines are medium-bodied, with a lovely fruit balance and perfect dosage. The mousse is exemplary, with smaller bubbles than usual because of a cellar temperature half a degreee below the average. 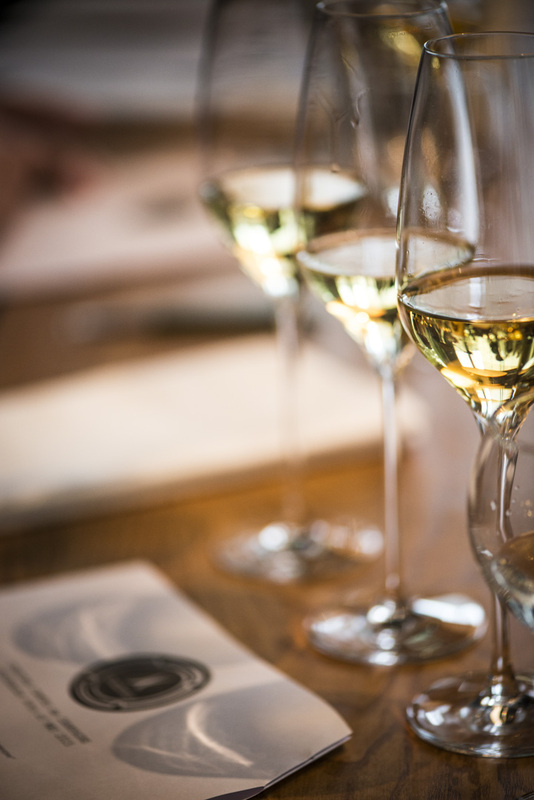 Pol Roger had more wines and more older wines in the Millennium Tasting than almost any other Champagne domain, which is completely natural because Pol Roger’s champagnes are extremely high class and are so long-lived. They are normally most famous for their Pinot-dominated cuvées today made by Dominique Petit, but at Villa Pauli they were rewarded for the best blanc de blancs ever made, with their powerful 1959. My only 100-pointer is a blanc de blancs from Pol Roger. I love the entire range of the firm’s products, from the regular non-vintage all the way to the Cuvée Sir Winston Churchill, and I guarantee you that every sound bottle you drink will impart a life-enhancing experience of pure joy. Just at present the best bargain is the 2000 Blanc de Chardonnay if you can wait at least two more years after release. The wines from the 2002 vintage are destined for the cellar.